Lieutenant Luz Soto, Commander Frank Román, and Agent Rosario Hernández de Hoyos were shot inside the Puerto Rico Police Department's Ponce regional headquarters, near the intersection of PR-1 and PR-52, by a disgruntled police officer. The subject had entered the headquarters building with two guns and a knife. He proceeded to the sixth floor where he took all three officers hostage. He told Lieutenant Soto to call the press officer, but the call did not go through. The subject then opened fire on the officers, fatally wounding them, before exchanging shots with another officer. The subject was taken into custody and was transported to a local hospital suffering from gunshot wounds. 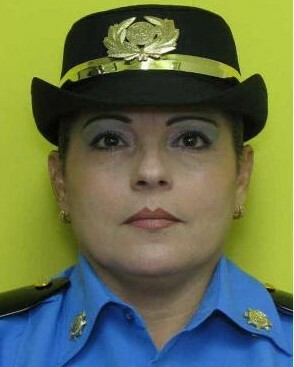 Lieutenant Soto had served with the Puerto Rico Police Department for 23 years. She is survived by her two sons, and her husband who also serves with the Puerto Rico Police Department. Rest In Peace Sister in Blue. Thank you and your family for your sacrifice and service. Never forgotten.